Light exercise can help relieve stress. A brisk walk can lessen the burden of fast-paced life. You live a busy, urban life and work hard to live your dreams. It is incredibly important for all of us to occasionally take time to relax. Walking can improve you mind’s state and make your body feel calm. Over time, regular walking can significantly improve your body’s health. You don’t even need to break a sweat. Light exercise can have tremendous benefits to your physical and mental health. A simple, modern design that works with and décor. A unique aesthetic that clearly shows the utmost quality. WalkingPad’s unique product design revolutionizes the traditional steel frame structure to create a fresh and brand new look. 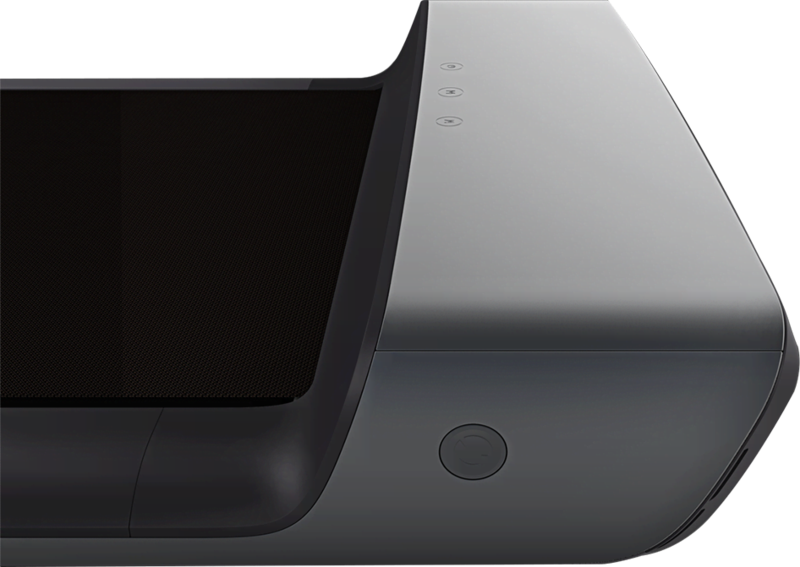 It utilizes IML surface processing to create a metallic finish front panel to complement the sandblasted matte finished body surface. These modern design elements help WalkingPad blend seamlessly into your home’s décor. 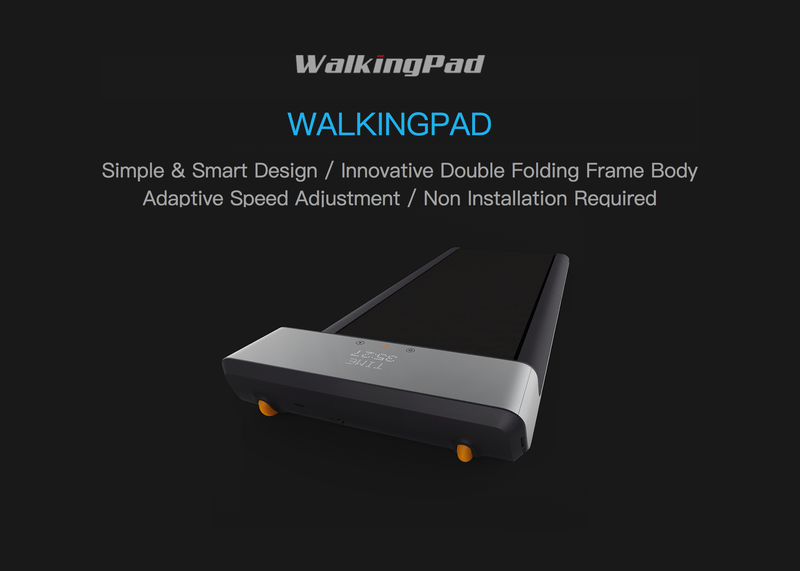 WalkingPad features a simple and clean minimalist design. The LED display is embedded behind the low transmittance ABS panel’s surface. The panel looks completely bare when WalkingPad is turned off. The light have a crystal clear glow when WalkingPad is turned on. LIGHT Light weight, strong construction. Our aluminum alloy chassis is light but strong. WalkingPad’s frame structure is composed of aluminum alloy to maximize its integrity, capacity and endurance. Aluminum alloy is incredibly strong but also lightweight. Our choice of material allows WalkingPad to be easy to move and store. Just 57mm / 2.24 in from the ground An ultra-thin, compact design that maximizes safety and minimizes noise. WalkingPad’s low profile raises it only 57mm / 2.24 inches off the ground. This minimizes the step-up height and by extension, mitigates the risk of falling off the walking surface. 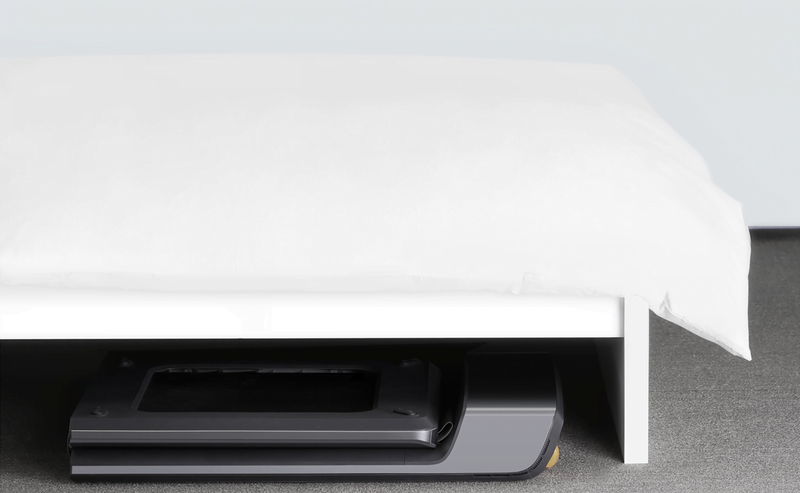 The compact design and minimal floor clearance removes the “sound box” effect and thereby makes for a quieter existence. SMALL WalkingPad makes storage easy. It covers less than 0.5 m² / 5 ft² of space when folded. Our patented “double fold” technology cuts WalkingPad’s required storage space in half. 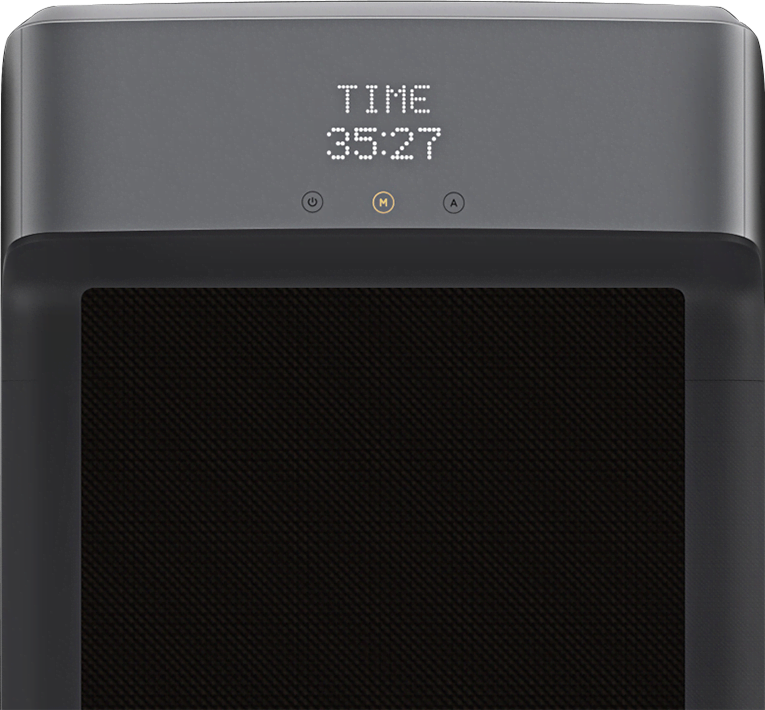 You can easily pull WalkingPad out for a quick walk and when, just as easily, fold it up and hide it away. Convenient transportation wheels make it steady and easy to move your WalkingPad around. There are two transportation wheels conveniently located underneath WalkingPad. These wheels, combined with WalkingPad’s lightweight body, make it extremely easy to move WalkingPad around. 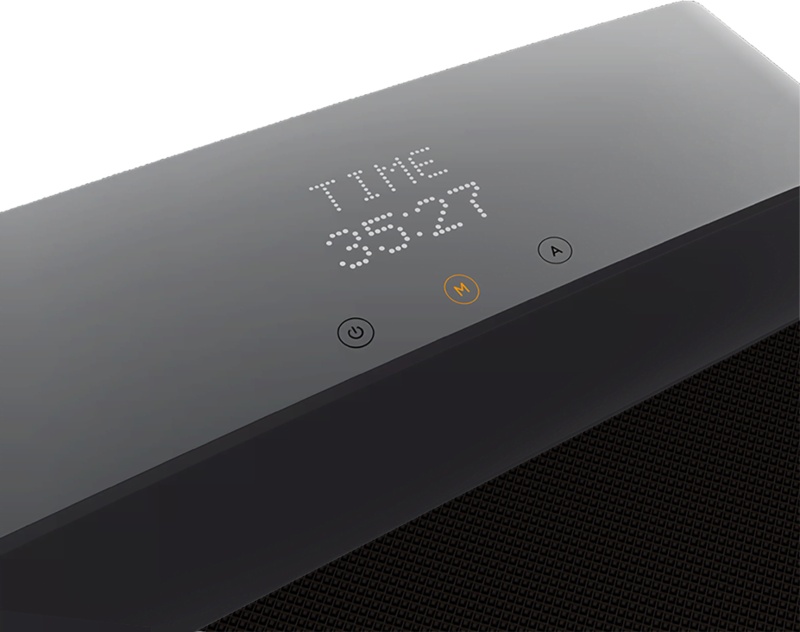 The orange ascents add intrigue to WalkingPad’s minimalist design. WalkingPad is so compact that is can be stored in nearly any corner of your home. 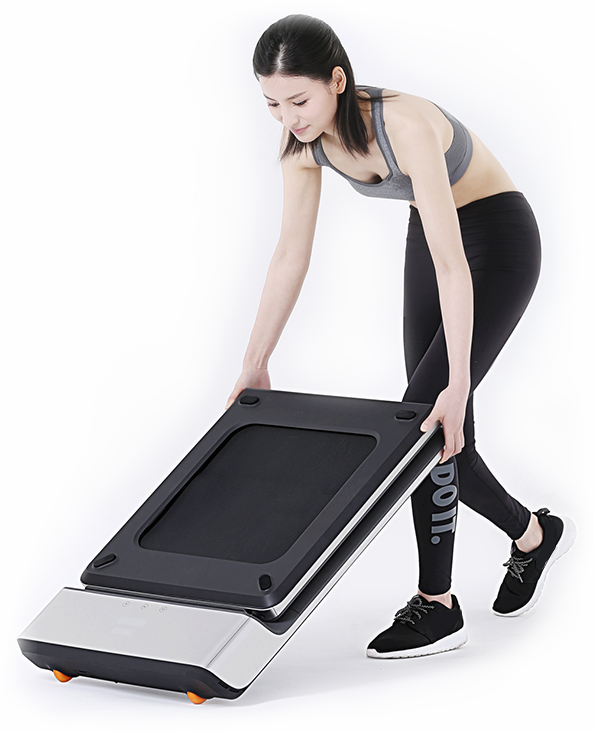 Storing WalkingPad never becomes a burden the way that bulkier exercise equipment can be. Exercise modes are easy to understand. 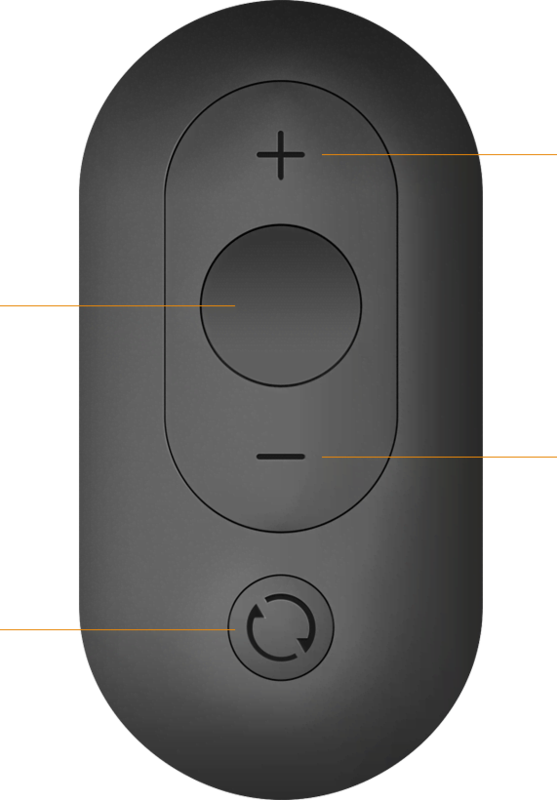 WalkingPad has two exercise modes - M, manual mode, and A, automatic mode. As a beginner, you can use the remote control to operate WalkingPad in manual mode. As a seasoned exerciser you can control the speed through our patented Adaptive Speed Control system. 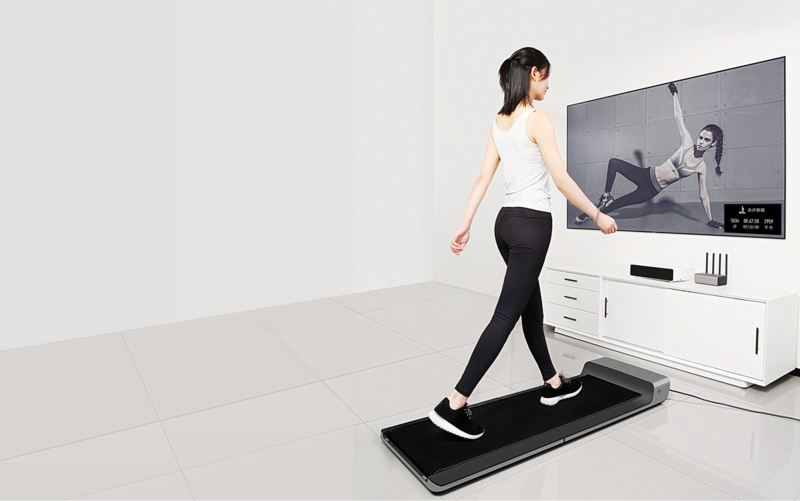 In this mode, you walk at your own desired pace and WalkingPad can adapt its speed to suit you. Adaptive Speed Control adjusts to you pace and accelerating with ease. With the help of pressure sensors embedded in the WalkingPad base, the patented Adaptive Speed Control technology can precisely measure the user‘s preferred speed. 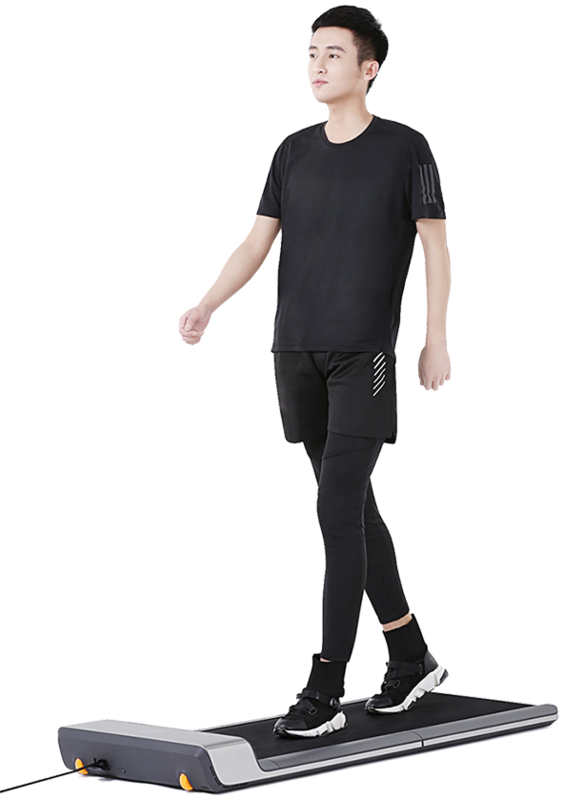 Through sensing different foot drops and posture changes, WalkingPad adapts immediately with acceleration, deceleration or constant steady speed, it ultimately liberates your hands and offers a truly free exercise. In Manual mode, you can operate WalkingPad with the remote control. This includes all necessary functions such as toggling mode, acceleration and deceleration. It helps beginners to familiarize themselves with WalkingPad and use it safely, conveniently and efficiently. Like working on a plastic runway. WalkingPad offers an elastic and comfortable low impact running surface with strong grip. 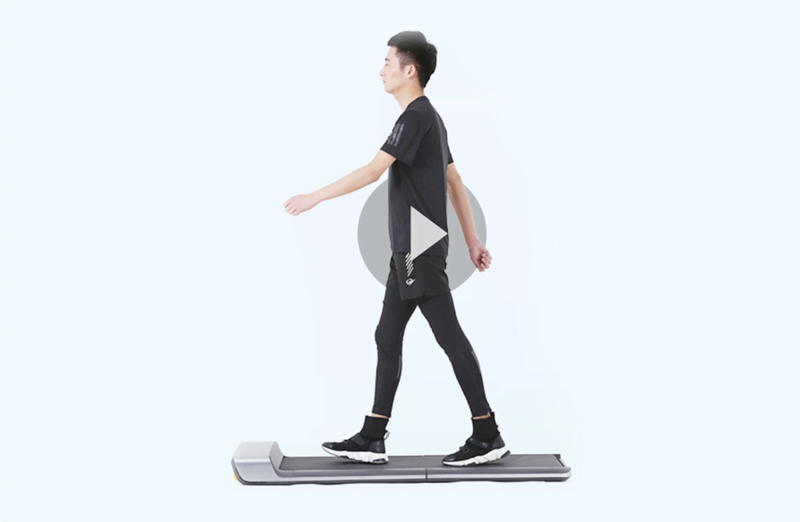 It is like a plastic runway that protects your joints. 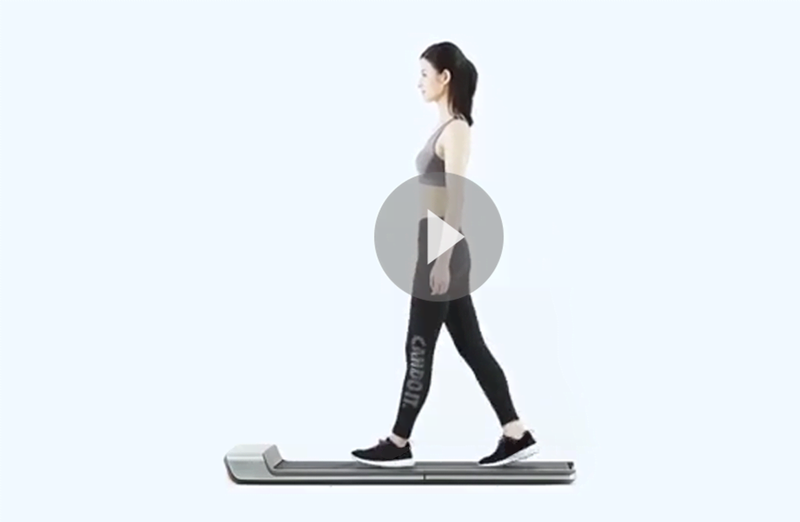 The high density fiberboard walking deck carries a layer of cushioning soft gel which is also extremely smooth, providing a comfortable walking feeling for you to continue walking without the slightest setback.